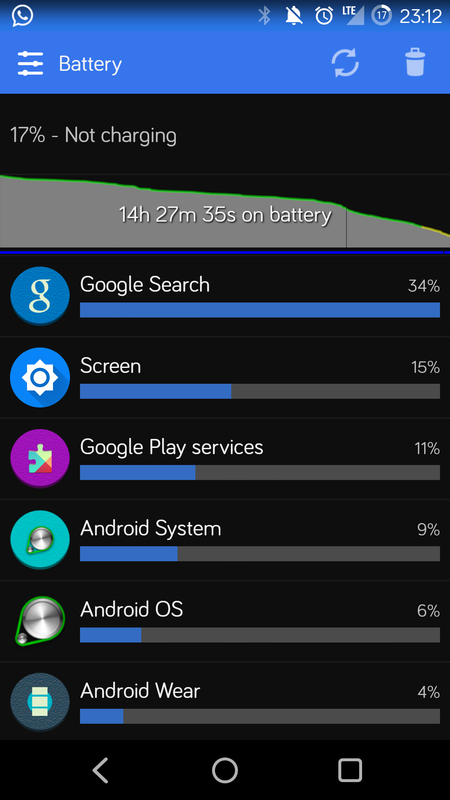 I recently noticed that my Android phone was draining battery a lot faster than usual. So I checked out the battery page and discovered that Google Search was my top source of battery drain, more than Screen! That’s insane. None of my settings had changed so I didn’t understand why this was suddenly happening. Rebooting didn’t fix the problem. Google Search was definitely the cause. From its app page, I saw that that Google Search was using up to 500 MB of storage, and was constantly restarting every minute or so and rebuilding that massive index. No wonder it was taking so much battery! Content websites are increasingly shutting down their comments sections, CNN is reporting. Re/code recently did it, along with Popular Science, Reuters and CNN itself. Comments must be approved before appearing on Gawker websites. The reasons are the same: trolls, spambots, inflammatory conversation, the pain of moderating, and interestingly, the idea that conversations are moving to social media like Twitter, Facebook and forums. I don’t know if I’d make the same decision. We haven’t seen much trolling on the Cornerplay — a side benefit of being a smaller, more intimate blog — but according to WordPress, we’ve gotten about 25,000 spam comments so far. That’s crazy. If not for WordPress’ excellent spam filter, that would have been unmanageable. Yet, checking the comments of an article is one of my favorite things to do. Sometimes, a commenter can provide valuable, additional insight to the article. Sometimes, it’s just seeing a different point of view. Apple shared a few more details about how the Apple Watch will work — see this excellent Verge article for a good summary. The most interesting part is Apple’s intention next year to enable fully native apps on the watch. This does not necessarily mean the Apple Watch will work without an iPhone, but it certainly makes that a possibility. The question though is…why? The way Android Wear and Apple Watch (in year 1 at least) generally works is that the phone does most of the heavy lifting while the watch is merely a display that also receives inputs. It’s not unlike thin client computing, where the cloud does the work and the thin client handles output and input. This arrangement makes sense, because then the watch doesn’t need powerful chips or enormous batteries to get a good experience. This controls costs too. The weakness in cloud computing is that a fast, consistent connection is required. Fortunately, because the phone is usually always with you alongside the watch, and because connectivity is via Bluetooth, smartwatches don’t have that issue. So why would Apple move to a future where watch apps are standalone? Is technology progressing so rapidly that streamed computing is unnecessary? That can’t be right. Smartphones haven’t yet crossed a threshold where performance gains are unnecessary, and smartwatches are way behind smartphones. Except this time, that co-founder might actually have a case. Valley Wag is reporting that Douglas Warstler is suing Yik Yak’s two co-founders for excluding him out of Yik Yak. The basic story is that the three started a company with 1/3 ownership each that created and launched Yik Yak. Two of Yik Yak’s co-founders graduated from university and moved to a different city while Warstler had a year left that he intended to complete. The two co-founders didn’t want a long distance, part-time situation and tried to buy him out. Warstler refused. And so the other two co-founders transferred Yik Yak to a new company and didn’t give Warstler any shares. That’s what happened in a nutshell. Typically, when these kinds of stories appear, my bias is with the remaining co-founders who actually built the business (e.g. Facebook, Snapchat). In this case however, my sympathies are with Warstler if what’s alleged is actually true. When the Cornerplay turned 100, I highlighted my 22 favorite posts. It feels much too soon to do that again, so for this milestone, will instead share what I’ve learned. Google is king. That’s been the biggest surprise for me so far. The Cornerplay is syndicated weekly on TechSpot and e27 — two fine publications — primarily because as a casual writer, my objective is to be read. Yet, the largest referrer of traffic by FAR is Google. Nearly 27% of all traffic came from Google search and the next largest is 6%. For example, Googling “the credit card information is not valid. please check your entries carefully.” will get you my article about Sony’s epic failure to process payments on PSN as the top result (as of this writing). I guess I’m the only person who wrote about it outside of forums and the like. It suggests long tail topics — especially those about consumer pain points that aren’t addressed — can generate enduring traffic from Google. It’s depressing if you think about it. For publishers, it’s no longer about building an audience who loves your content and checks in everyday, even if via RSS or Twitter. That path takes a lot of time and money. No, if you want to become a business, it’s about getting Google to like you and send you traffic. Or becoming click-bait central and relying on Facebook to go viral. I had dinner with a friend a few months ago. He is the head of a 500-person company, and he was telling me how he wished there was an off-the-shelf mobile app they can use as an internal directory for his company, given the company was at a size where not everyone knew everyone. So that he could walk into a meeting and his phone would tell him who everyone is, what they do and how he can reach them later. I told him Yammer was probably that product. He had never heard of Yammer. A few weeks later I followed up to see whether he had installed Yammer and he said no, he was too busy to get around to it. The Financial Times is now reporting that Facebook is testing a Facebook at Work product. Or, basically, another Yammer; a closed social network for companies. The reason why I think it can work is the reason my friend hasn’t heard of Yammer — everyone knows Facebook and is already on it.